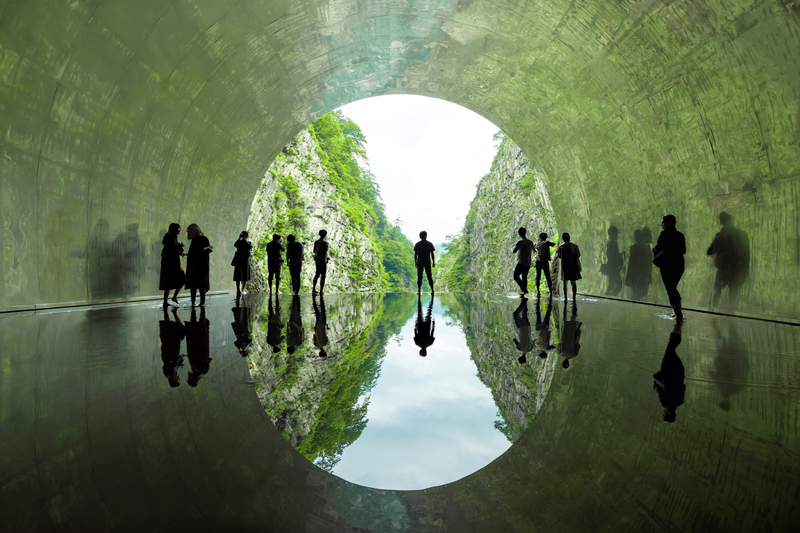 MAD Architects has completed the restoration of the Kiyotsu Gorge Tunnel in Japan’s Niigata prefecture. 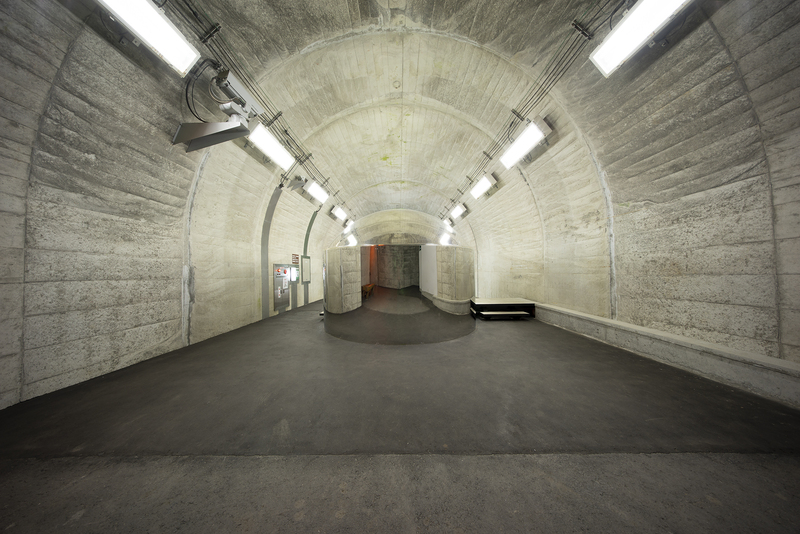 The revitalization project sees the installation of several permanent artistic spaces along the historic lookout tunnel, with the intention of bringing back the cultural energy that once empowered the region. 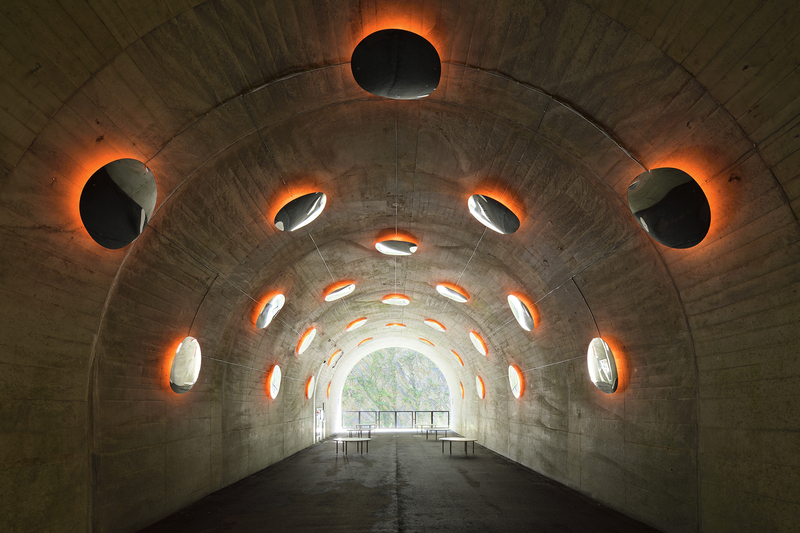 The “Tunnel of Light” opened on the occasion of the 2018 Echigo-Tsumari Triennale. 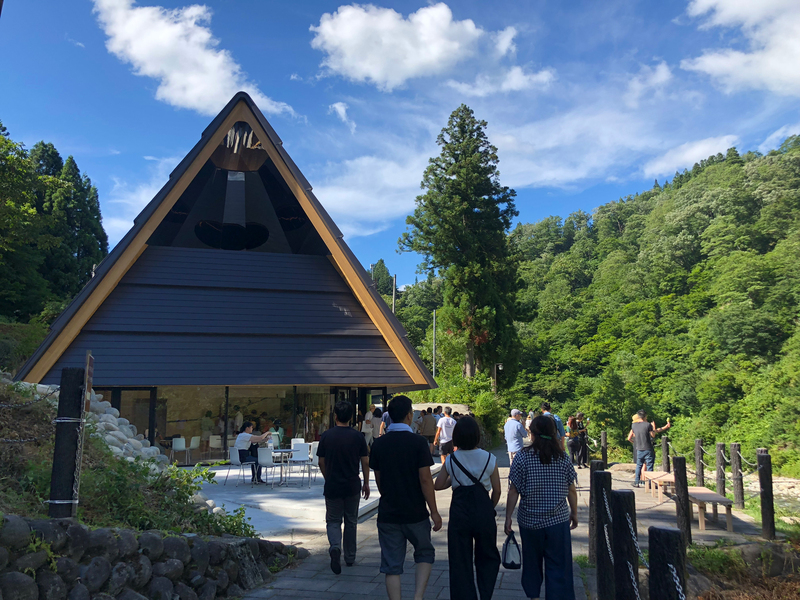 Located in the heart of Japan’s snow country, Echigo-Tsumari is home to mountainous terrain and a satoyama which is an agricultural expanse, where traditional ways of farming are still being practiced. While rich in nature, the region has slowly been suffering from an aging and decreasing population – a serious phenomenon that has seen many of the young, rural people moving to the big cities for work or education opportunities. This has left the elderly (65+ years) accounting for 37% of the community, while the average level in Japan is 27.7%. 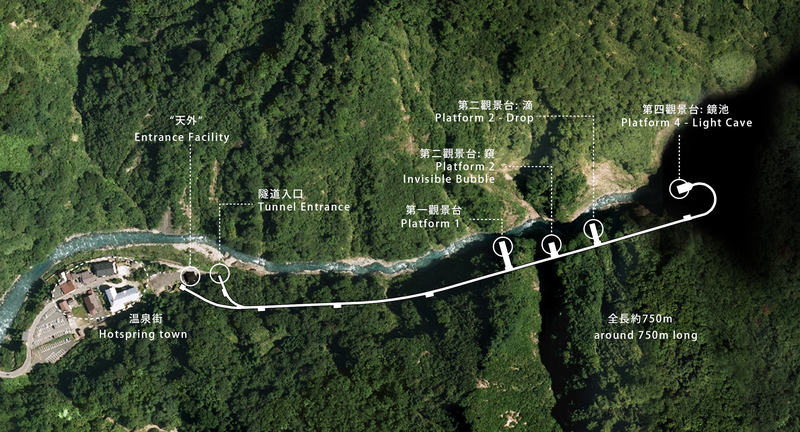 As part of the 2018 program, MAD Architects was invited to revitalize the Kiyotsu Gorge Tunnel – a historic, 750-meter passageway that cuts through distinctive rock formations, offering panoramic views over one of Japan’s three great chasms. 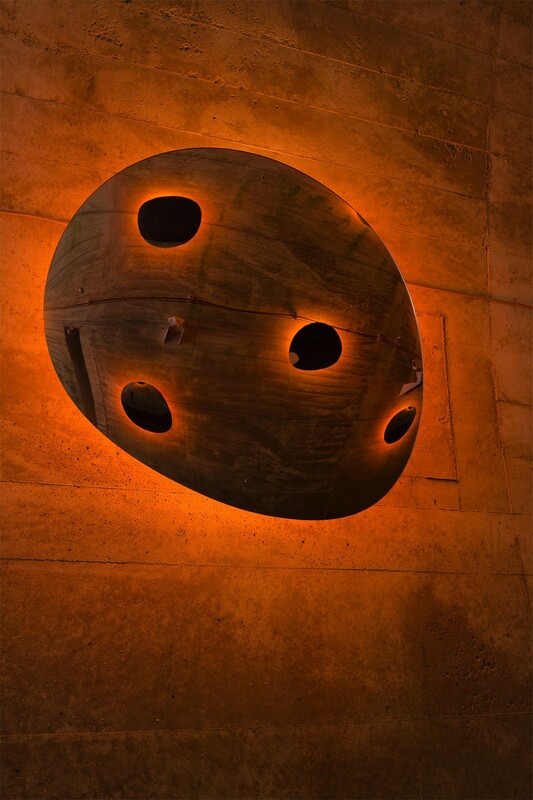 Drawing on the ‘five elements’ of nature (wood, earth, metal, fire, water), MAD’s scheme transforms points along the historic tunnel through the realization of several architectural spaces and artistic atmospheres. The designs rethink the relationship between humans and nature, and seek to re-connect locals and visitors alike with the majestic beauty of the land. Upon the approach to the tunnel, a small wooden ‘hut’ has been erected that serves as the café and souvenir shop (with locally made crafts) on the ground floor. Inside the pitched cedar roof on the upper level, is a hot spring foot spa. 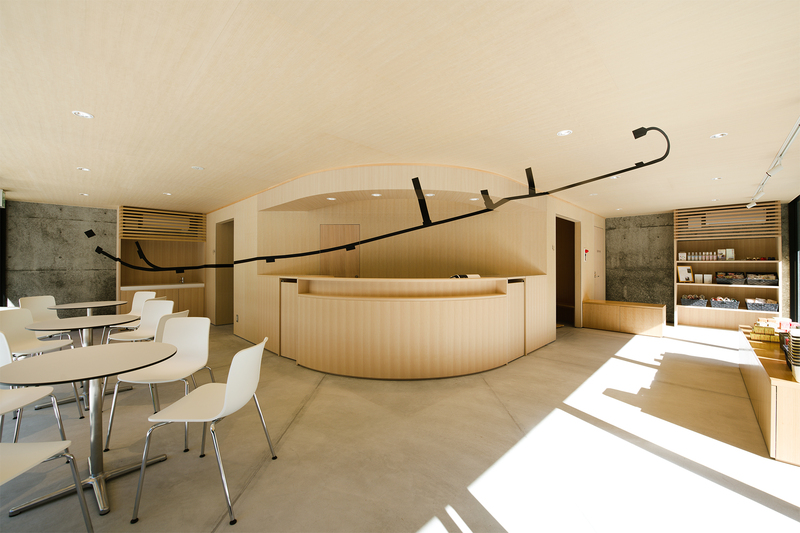 A circular aperture – the “Periscope” – in the ceiling opens up towards the roof. 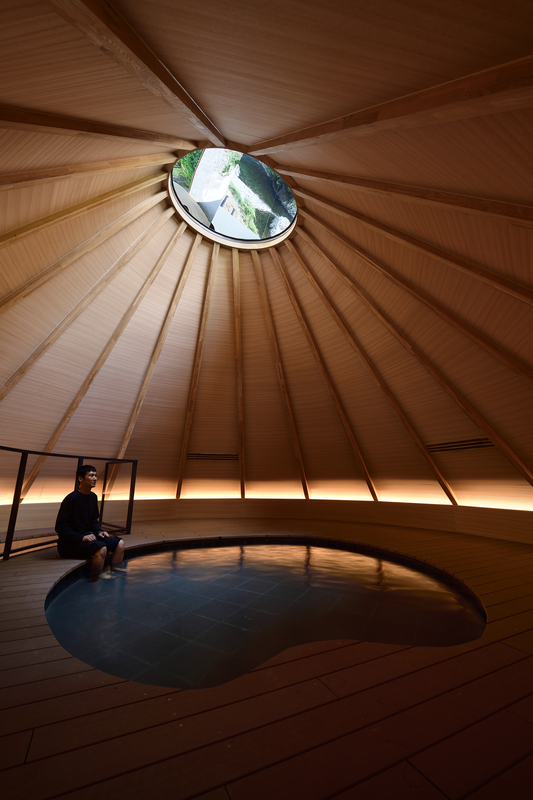 Encircled by mirrored lenses that reflect the nature of the surrounding site inwards, the subtle intervention gives visitors the opportunity to enjoy the natural scenery outdoors, while they have a foot bath and relax within the warmth of the wooden interior. 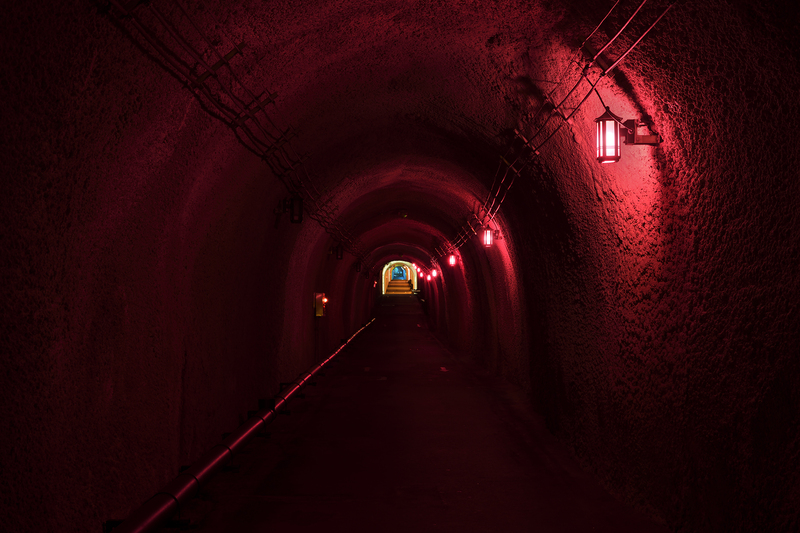 The entrance to the tunnel has been restored to its former glory, and leads the way to the newly renovated passage. Originally illuminated through natural means, it has been outfitted with a series of different coloured lights which define each lookout point along the tunnel. Captured as “The Expression” of the space, their vibrancy, in combination with mysterious music, sets a subtle but dynamic ambiance that sparks a certain curiosity of the unknown for those who are wandering through. The first of the lookout point renovations is the “Invisible Bubble”. 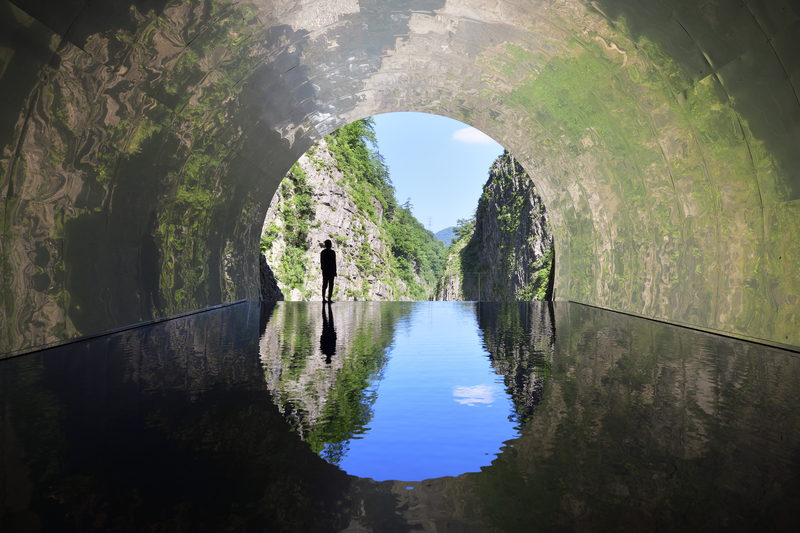 As if landing from another world, the capsule-like structure gently mirrors the silhouette of the tunnel itself, while reflecting its surroundings. Functioning as a toilet, the wall which faces towards the gorge is transparent. This exterior window is covered in a metallic film that only allows one-way views from the inside out, playing with the notion of public and private. Providing a quiet escape, a place of solitude, it is an intimate space that finds itself in an openly public setting. It puts into question how people react when they think that no one is watching – an ideal corner of contemplation. ‘Dew drops’ are scattered along the curvature of the second lookout point. “The Drop” is a series of reflective openings that are like windows of uncertainty. While they project a reality by mirroring the natural environment, they also appear surreal, like molecules of water, they are suspended from the ceiling and walls, frozen in time. As one looks into these convex mirrors, backlit by fiery, red light, they experience an alternative connection with nature – one that is at once mysterious and warm. The culmination of the restoration is expressed in the form of the “Light Cave”. Semi-polished stainless steel lines the tunnel, drawing the distinct rock formations, lush greenery, and turquoise water of the treasured terrain, into the enclosed space. A shallow pool of water gently ripples with the breeze of the wind. 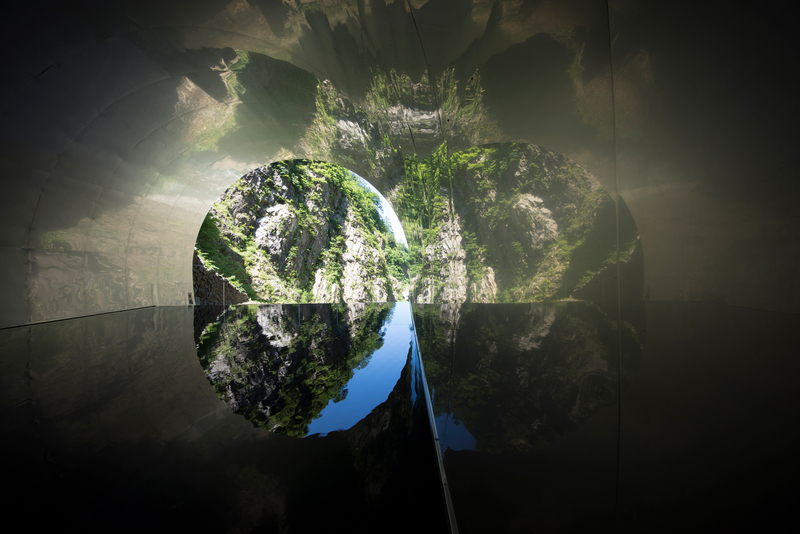 In turn, the images of the gorge reflected from the cave cast themselves onto the water – an infinite illusion of nature. The essence of the “Light Cave” brings both a lightness and stillness into the once dark, dewy tunnel, invoking a feeling of everlasting solitude. MAD’s “Tunnel of Light” is an artistic transformation that demonstrates how art and nature can come together to reinvigorate a community. Each one of the installations, forms a poetic space where visitors can transcend the role of observer, and become an active participant – allowing individuals to place themselves in nature in unexpected ways. Executive Architect: Green sigma Co., Ltd.